Known for handling “groundbreaking copyright infringement litigation” and “some of the most complex copyright cases in the entertainment industry,” Jeff has been honored as one of the nation’s premier entertainment litigators by Variety, listed among the nation’s top copyright litigators by Legal 500, and awarded an Honorary Gold Record by the Recording Industry Association of America for his success in the seminal Napster case. 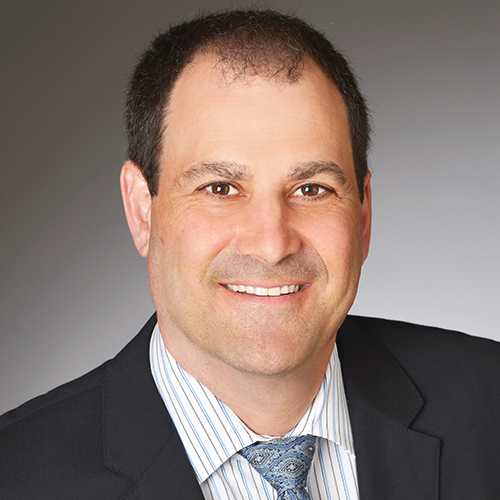 A “key figure in numerous high-stakes intellectual property fights,” Jeff is perennially recognized as one of California’s Top 75 intellectual property lawyers by the Daily Journal, most recently in 2018, and as a Southern California Super Lawyer (representing the top 5% of practicing attorneys) by Thomson Reuters (2004-18). His clients have included all of the world's largest record companies and music publishing companies, Apple, Coca-Cola, Muhammad Ali, Eminem, and Dr. Dre. A “veteran of high-stakes music industry skirmishes,” he has litigated hundreds of music cases involving more than 25 #1 records and more than 25 members of the Rock & Roll Hall of Fame, including legendary artists such as The Beatles, Michael Jackson, U2, Prince, Nirvana, Tupac Shakur, Pearl Jam, The Allman Brothers Band, Crosby Stills Nash & Young, and Stevie Wonder. Jeff litigates nationally, and his practice is evenly divided between representing plaintiffs and defendants. He has litigated cases against the world’s largest airline, search engine, toy company, e-commerce retailer, and electronics retailer, as well as against some of the world’s largest drug companies, beer companies, automakers, and entertainment conglomerates. His cases have figured prominently in the development of modern intellectual property and entertainment law, resulting in more than 100 reported judicial decisions, which have been cited in thousands of other reported decisions. John Newman’s Love Me Again. Apps v. Universal Music Group, Inc., 283 F. Supp. 3d 946 (D. Nev. 2017) (lack of originality, lack of substantial similarity). Nelly Furtado and Timbaland’s Do It. Kernel Records Oy v. Mosley, 694 F.3d 1294 (11th Cir. 2012) (failure to properly register foreign work). K’naan’s Wavin’ Flag. Hermosilla v. Coca-Cola Co., 446 Fed. Appx. 201 (11th Cir. 2011) (email consent overcame statute of frauds). U2’s Vertigo. Lester v. U2 Limited, 2009 WL 10673938 (C.D. Cal. 2009) (parent/subsidiary liability). 50 Cent’s In Da Club. Lil’ Joe Wein Music, Inc. v. Jackson, 245 Fed. Appx. 873 (11th Cir. 2007) (lack of originality). Truth Hurts’ Addictive. Lahiri v. Universal Music & Video Distribution, Inc., 513 F. Supp. 2d 1172 (C.D. Cal. 2007) (work for hire under copyright law of India). Ice-T’s 99 Problems. Bridgeport Music, Inc. v. Rhyme Syndicate Music, 376 F.3d 615 (6th Cir. 2004) (statute of limitations). Eazy E’s Eazy-Duz-It. Bridgeport Music, Inc. v. DJ Yella Muzick, 99 Fed. Appx. 686 (6th Cir. 2004) (license). Patience & Prudence's Gonna Get Along Without Ya Now. Mappa Music Co. v. Universal-Polygram Int'l Pub. Inc., 62 U.S.P.Q.2d 1582 (C.D. Cal. 2001) (laches, statute of limitations). Tupac Shakur’s R U Still Down? (Remember Me) album. Hafiz v. Interscope Records, Inc. (C.D. Cal. 2000) (lack of co-authorship). Hoyt Axton’s Joy To The World. Jackson v. Axton, 25 F.3d 884 (9th Cir. 1994) (laches). Lil Jon, Ludacris and Usher's Lovers and Friends. Rondor Music Intern. Inc. v. TVT Records LLC, 2006 WL 5105272 (C.D. Cal. 2006). Over 4,500 counts of willful copyright infringement by an airline music supplier. UMG Recordings, Inc. v. Global Eagle Entertainment, Inc., 2016 Copr. L. Dec. ¶ 30,919 (C.D. Cal. 2016). Over 3000 counts of copyright infringement by a flea market. UMG Recordings, Inc. v. Sinnott, 300 F. Supp. 2d 993 (E.D. Cal. 2004). Over 240 counts of copyright infringement by a make-your-own-ringtone website. Arista Records LLC v. Myxer Inc., 2011 WL 11660773 (C.D. Cal. 2011) (ownership and fair use defense). Over 800 counts of copyright infringement by a flea market. Arista Records, Inc. v. Flea World, Inc., 78 U.S.P.Q.2d 1339 (D. N.J. 2006). Over $500,000 against a plaintiff songwriter. Hermosilla v. Coca- Cola Co., 492 Fed. Appx. 73 (11th Cir. 2012). Over $400,000 against a plaintiff record company. Kernel Records Oy v. Mosley, 2014 WL 12495289 (S.D. Fla. 2014). Over $250,000 against a plaintiff’s attorney. Lahiri v. Universal Music and Video Distribution Corp., 606 F.3d 1216 (9th Cir. 2010). Establishing that digital copies are covered by the broad grant of rights in most recording agreements of the 1960s and 1970s. Silvester v. Time Warner, Inc., 763 N.Y.S.2d 912 (2003), aff'd, 787 N.Y.S.2d 870 (2005). Establishing the boundaries of copyright liability for facilitating infringement on the Internet. A&M Records, Inc. v. Napster, Inc., 239 F.3d 1004 (9th Cir. 2001); Perfect 10, Inc. v. Amazon.com, Inc., 508 F.3d 1146 (9th Cir. 2007). Establishing the constitutionality of the federal anti-bootlegging statute. U.S. v. Moghadam, 175 F.3d 1269 (11th Cir. 1999). Establishing that a record company owns the copyright in a bootleg recording made during the term of the company’s recording contract with an artist. Sony Music Entertainment, Inc. v. Best Buy, Inc. (1998). Establishing that copyright owners possess a "synchronization right." Agee v. Paramount Communications, Inc., 59 F.3d 317 (2d Cir. 1995). Obtaining summary judgment for a major record company on First Amendment grounds in an action brought by a leading toy company concerning the hit song Barbie Girl. Mattel, Inc. v. MCA Records, Inc., 296 F.3d 894 (9th Cir. 2002). Obtaining dismissal on the pleadings of a trademark claim arising from the copyright registration of a Mariah Carey song. Zekkariyas v. Universal Music-MGB Songs, 2011 WL 13220325 (C.D. Cal. 2011). Obtaining dismissal on the pleadings of a trademark claim brought by a musical group alleging that the title of a Jackson Five album was infringing. Woodard v. Jackson, 2004 WL 771244 (S.D. Ind. 2004). Obtaining summary judgment dismissing trademark claims based on the failure to credit the plaintiff. Williams v. UMG Recordings, Inc., 281 F. Supp. 2d 1177 (C.D. Cal. 2003); Lahiri v. Universal Music & Video Distribution Corp., 2006 WL 6030551 (C.D. Cal. 2006). Defending record companies in numerous trademark actions concerning artists with identical names. Representing record companies and music publishing companies in high-profile royalty disputes involving prominent artists such as Cher, Rick James, The Carpenters, Al Green, Bill Withers, Olivia Newton-John, and The Temptations. Representing music clients in many other contract and business disputes involving major artists such as Ariana Grande, Beyoncé, Beck, Courtney Love, Bone Thugs-n-Harmony, Three Dog Night, The Rascals, and Blink-182.